To date OnLive has shunned cloud gaming conferences like Cloud Gaming USA and other shows where most of the other cloud gaming companies meet and hook up with potential customers and investors. It's not known whether this was because of the superiority complex of its former leader Steve Perlman or some other causes. Looks like after OnLive went through ABC bankruptcy and started their reorganization, they are now ready to accept that they are not the only fish in the sea of the burgeoning cloud gaming sector. 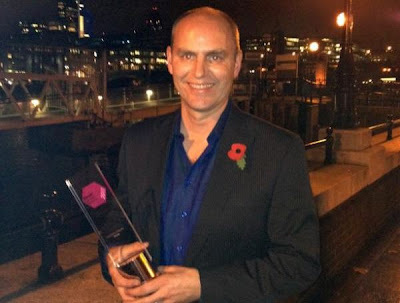 OnLive UK general manager Bruce Grove will attend the DigiWorld G@me Summit & MIG that is part of the DigiWorld Summit 2012 where cloud gaming will be at the heart of discussions. The event will take place between November 14th and November 18th at Le Corum in Montpellier, France. More specifically Bruce Grove will take part in a round-table discussion about cloud gaming that will be part of the DigiWorld G@me Summit & MIG on November 15th. Another member of the round-table discussion is Guy De Beer, CEO of cloud gaming provider Playcast Media which has been making news in the cloud gaming space lately with their partnership with NVIDIA and French Bouygues Telecom. Not surprisingly the other people in the round-table discussion are Franck Diard, Chief Software Architect at the NVIDIA Advanced Rendering Center and Franck Abihssira, VP of Broadband Access, Contents and Services at Bouygues Telecom. In the round-table discussion they will talk about how cloud gaming has developed to date and how it will change the interactive entertainment industry in the future. For 40 years, the video game sector has been considered a market with two distinct yet interdependent sides. The hardware side, which is subject to Moore’s law and governed by a life cycle characterized by the integration of innovative technologies in the video games sector promoting innovation in gameplay, features related to video games that can target an audience beyond just gamers, service and consumption innovations related to the game sector, but also of building user relationships. And the software side, which is wholly dependent on the equipment side, from design and development to distribution and consumption. Beginning in the 2000s, online gaming practices and digital distribution began slowly taking over market share. Ten years later, this share continues to grow, today representing more than half of the revenue generated by this sector. Every single market segment in the games industry is affected by the digitization of practices and distribution, from home consoles and handheld consoles to smartphones, tablets and connected TVs. In this context, cloud gaming represents another giant step forward in the game industry’s transition to digital distribution. Sony Computer Entertainment’s purchase of Gaikai demonstrates—and may even strengthen—cloud gaming's role as a disruptive technology. Cloud gaming may eventually eradicate (or at least mitigate) this hardware/software division by limiting the impact hardware has on gaming software. In other words, with cloud gaming, video games are likely to become less and less dependent on the device they are being played on. At the same time, we should begin to see more and more game accessories on the market because the accessories are quickly becoming the key element in providing users with the best immersive and interactive gaming experience possible. Let's hope that talking is not the only goal of Bruce Grove's visit at the DigiWorld Summit 2012 and he will announce some expansion plans for OnLive to the European continent, and secure some new partners and investors. At the Eurogamer Expo OnLive said that a big part of their business going forward will be geographic expansion. 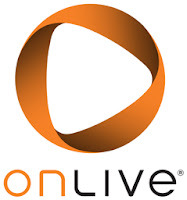 OnLive is currently officially available in Northern America with the US and Canada, in the UK and Belgium. Belgium was the last country where OnLive launched at the end of July, so not long before their problems started. The most likely first candidates for their continued expansion are the other eurozone countries with the larger ones being France, Germany, Spain and Italy. OnLive has a data center set up in Luxembourg, which will geographically and infrastructure wise be able to support OnLive cloud gaming for most of the more populated places in Europe.